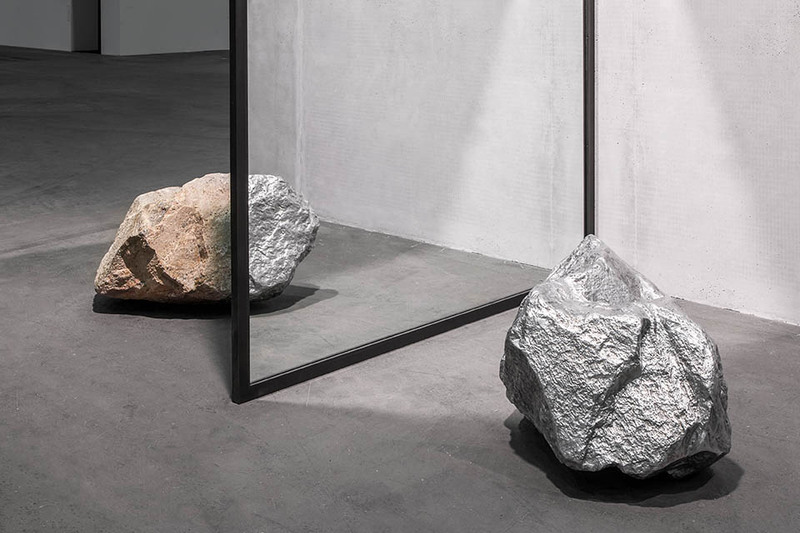 The exhibition title Out of Ousia sets the tone for Alicja Kwade’s first solo exhibition in Denmark: With her poetic minimalism and powerful sculptures, the Polish-born artist has created an exhibition that questions science and social conventions. A vase created by the dust from a blended PowerMac, surreal mirror reflections, and a brand-new work created specially to the exhibition consisting of massive stone spheres which lightly float in the air, are some of the sculptural elements that make up the exhibition and surprises and awakens reflection. Alicja Kwade challenges our understanding of abstract concepts such as the nature of time, space and light, the laws of physics, the mysteries of science and the deeply embedded social conventions that form the bedrock of our perception of reality. She raises these large questions in a light-hearted, poetic and humorous way that provokes curiosity, wonder and amusement.